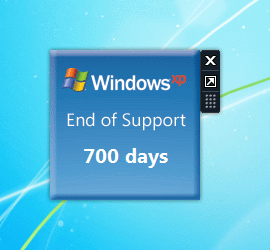 Windows XP extended support ends in 700 days (a little more than 1,000,000 minutes). So most probably after Apr 8, 2014 Windows XP will be unsupported by our software products. May be some days before, or after, but this is inevitable – you (who are still on XP) will be forced to upgrade if you want to continue using latest releases of our software products. We will not test our software against Windows XP. There are no guarantees that newer version will continue to work with Windows XP, however, Windows Server 2003 R2 support ends Jul 14, 2015, and because Windows Server 2003 is based on the same kernel and the same shell as Windows XP, it is very possible that you will be able to go with XP another year or little more. Second thing is, that we will eventually switch to newer Visual Studio version, which means, that you will not be able to (physically) run our software on Windows XP or Windows Server 2003. Each version of Visual Studio can target certain Windows versions, and I am sure, that Visual Studio that will be released after Jul 14, 2015, will not support these older Windows version. Also, note that, it is not guaranteed that we will support these both OSes till the Microsoft Extended support ends. We will do a reasonable effort to support our users, but not the operating system that nobody is using. Again, Windows XP Extended Support End Date – Apr 8, 2014. Source: Microsoft Support Lifecycle. Windows Server 2003 Extended Support End Date – Jul 14, 2015. Source: Microsoft Support Lifecycle. P.S. My personal recommendation is to upgrade to Windows 7 ASAP, or at least wait till Windows 8 comes out and upgrade then! P.S.S. There is a simple Desktop widget from Microsoft for Windows that shows how many days left till Windows XP support ends. See the screenshot above. Here is a download link: Windows XP End Of Support Countdown Gadget. 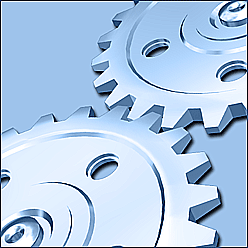 After more than 1/2 year of development, we have released Automation Workshop v1.2 (see list of changes). The most exciting new feature is Automatic backup. We implemented automatic backup using our own Automation Workshop actions, namely, Zip files Action, Export registry Action, and a couple other. This means that Automatic backup is acting like regular Automation Workshop task — it writes in Service log file (success and failures), it can be easily extended or changed, users can even implement they own backup tasks easily. Also, it is interesting to note that our internal automated test cases have just passed more than 1500 items. We are using a special kind of test driven development. Of course if we split all test cases into smaller peaces, there will be far more than 15,000 items, but in our metrics it is more that 1500, and each of the test case has taken [on average] more than 1 hour to build. So it is approaching a one year of full time work (WYE). And one more thing, in 753 days Extended support for Windows XP will end. For our users this means, that after this date we will stop releasing fixes for Automation Workshop on Windows XP. Windows Server 2003 support will end about year later. Both Windows XP and Server 2003 are based on the same codebase, so most probably Automation Workshop will run on Windows XP a year after Extended support ends.